A few weeks ago my colleague published a good article that showed just how much of a lead Econet has on competing MNO’s. They are leading on every metric. The surprising one was that besides being the bigger network they are the only ones that grew in number of subscribers from 4th quarter last year into first quarter this year. NetOne and Telecel lost subscribers. NetOne lost more than 2 million! Google and Econet started operating around the same time. They both launched into markets that had powerful incumbents. In Google’s case the most powerful of these was Yahoo and Yahoo was so powerful because it had a lot of financial resources and a lot of people thought it would squash Google. In Econet’s case it was competing against a state owned and a state promoted competitor. Said state had begrudgingly licensed Econet after a fierce battle ended in court. Fast forward by 20 years, Google dominates not just internet search but the advertising industry in general and Econet dominates not just Zimbabwe’s mobile network market but the company dominates Zimbabwe period. Google search was just better. Yahoo and all the other search engines concentrated on combing through and organising all information on the growing internet which is quite a task. Google concentrated on indexing links. This proved to give better search results for users of the internet. They could find information relevant to what they were looking for not the hit and miss of Yahoo. 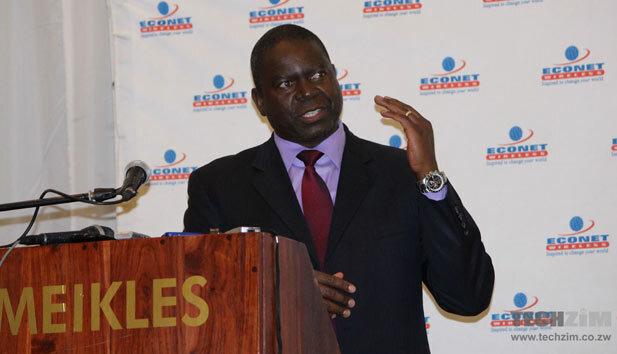 The defining thing that Econet did was to implement the prepaid business model. Their competitors were stuck in the world as they knew it, offering services to customers and then billing them at the end of the month. If the bill was not paid for too long, the customer would then get disconnected. Not the best model to increase subscriber base. The prepaid business model gave customers the power and flexibility to use this new technology whilst keeping track of their expenses more easily. The model also gave Econet a very strong cashflow position. This seems a small difference but in tech especially internet economics it’s the small differences that set you up to dominate. With Google that initial difference got them users. With users, network effects took over. For a search engine, being marginally better draws more users to you and the more users you have the more data you have and of course the more data you have the better your search results and the cycle continues. How does that apply to Econet? A mobile network is a capital intensive operation. You need to build towers and other infrastructure to reach users. The problem though is that it doesn’t follow that if you have fewer users you need fewer towers. The constraint is not number of users but the constraint is geography. If you have few users you essentially need to build the same number of towers as the guy who has more users. That means the cost of building infrastructure is spread over fewer users and hence you will not be able to build as many towers as the guy with more users. Every time the cycle repeats itself, the gap widens. At first NetOne even made the mistake of trying to compete on geographic coverage and they built a lot of towers in sparsely populated areas. Meanwhile Econet was prioritizing urban centres where they could get a lot of users accessing each tower and also more users on aggregate as well such that when they started rolling out to the less dense areas, they had a bigger subscriber base to spread that capital expenditure into. To add to the problem for NetOne is the fact that generally the people in the sparsely populated areas they were excited to connect are not as economically capable as the urban folks nor are they as ready to adopt new technologies as their counterparts. The nature of network effects is such that Econet just needed to score that early win and the cyclical momentum would keep the gap widening. Again Econet were not the first to offer mobile money to the Zimbabwe market nor where they number 2. They just had a deliberate strategy for it right from the beginning and their early bird competitors did not. What EcoCash did is fully explored in a Techzim Insights report on EcoCash strategy and why they have 97% market share. You can buy this report for $4.99 via EcoCash at the bottom of this article. Once they took leadership with EcoCash, network effects kicked in and EcoCash was just destined to keep growing its lead over the competition. Network effects create winner takes all markets, EcoCash took all. Another implication of EcoCash is that it gives subscribers a reason to be on the Econet network. No one ever throws away their Econet SIM, they just buy another one if they are drawn to something at NetOne or Telecel. As long as that SIM remains active, it is highly likely that it will be used for voice, data or both too at some point. This is why Econet revenue from voice grew at a bigger rate than the competitors. You would be forgiven to think Econet is the smaller player if you just look at how hungry they are compared to their competitors. Telecel and NetOne are not learning that with the internet, they can’t be happy just being a dumb pipe that consumers use to access value on the internet. I used the word value deliberately. Money is made at the value touch point and not much of it is made in the middle. Telecel and NetOne’s idea of value added services is promotions which do nothing but decrease margin for them. The world over network operators are buying startups or founding them just so they can capture internet value otherwise they have been reduced to a commodity utility which grows increasingly less profitable. The sooner NetOne and Telecel learn this the better chance they have of launching a comeback. There is still much value to be created on the internet. NetOne and Telecel still have a chance. Another important thing is that both companies now have the same major shareholder: the Zimbabwe government. Merging them would be great for the sector. In earnest, if these two are to become one the number of MNOs in Zimbabwe will not be decreasing from 3 to 2 but it just might be increasing from 1 to 2. Buy the Techzims EcoCash Write-Up now for US$9.99 ONLY using EcoCash. Just happens that where there is political bickering, no one focuses on the real value.